U.S. Army Patrol Ambushed in Panjwai District Kandahar - Helmet Cam Firefight. Be sure to subscribe to his channel! Watch this terrifyingly impressive display by the Saudi Arabian National Guard during a training event opened by Prince Muqrin, the second deputy premier. 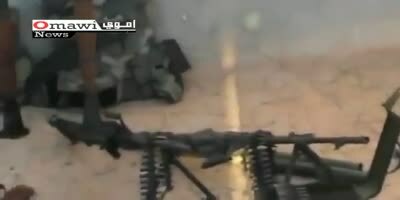 Rebels in Hama attack and overrun a Syrian army outpost, capturing plenty of weapons and some armored vehicles. bad music and picture gets parkinsons towards the end.